Discover how to use astrology to understand yourself, make the best choices, and improve every area of your life. In her trademark accessible, down-to-earth style, acclaimed astrologer Carole Taylor explains how to use the age-old wisdom of astrology as a powerful tool for self-knowledge and self-enrichment. Using your birth chart as a starting point, you'll learn how to interpret the zodiac signs, planets, and astrological houses to better understand yourself. Carole shows how astrology can provide psychological insights, then pinpoints ways to use this knowledge to nurture personal and professional relationships, deal with stress, or release your imagination and creativity. You'll discover, too, how star lore can help you when you need it most, with practical advice on negotiating key moments, whether you're changing jobs, starting a family, coping with financial difficulty, or facing retirement. 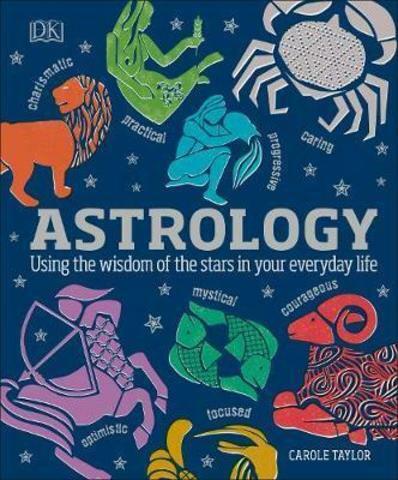 Authoritative and easy to understand, featuring fascinating case studies and with beautiful, inspiring illustrations throughout, Astrology is your essential guide to making the most of all life's challenges and opportunities.